The Rasmussen cottage, located at 1303 Bunting Avenue, oceanfront, in Fenwick Island, is among the historic Fenwick Island homes being featured on the Historic Coastal Towns Cottage & Lighthouse Tour on Sunday, Oct. 6, from 10 a.m. to 4 p.m. The Rasmussen cottage, located at 1303 Bunting Avenue, oceanfront, between Georgetown and Houston Streets in Fenwick Island, is among the historic Fenwick Island homes being featured on the Historic Coastal Towns Cottage & Lighthouse Tour on Sunday, Oct. 6, from 10 a.m. to 4 p.m.
Dr. Carl Rasmussen, born in New York, became a pastor at Luther Place Memorial Church in Washington, D.C., in 1930. During his summer vacation, he attended summer classes at Columbia University, where he met Dr. Roy Helfenstein, a Congregational clergyman from Dover. Helfenstein invited Rasmussen and his family for a weekend visit at his summer cottage in Fenwick Island, where they enjoyed the weekend so much that they rented straightaway a small cottage from a Mrs. Rickards that same summer. And so their love affair with Fenwick began. When the Masseys — hardware store owners from Dover — who originally built this cottage, put it up for sale in the 1930s, the Rasmussens purchased it. The two cottages were joined by two more, owned by the Rev. Howard Warren and J. Elwood Teat, a Realtor — only the four were not located where they are today. They were situated in a row in front of a low sand dune in the older Fenwick, Md. In fact, so low was the dune that during one of the high tides, the surf came up and carried the Warren cottage a short distance down the beach. 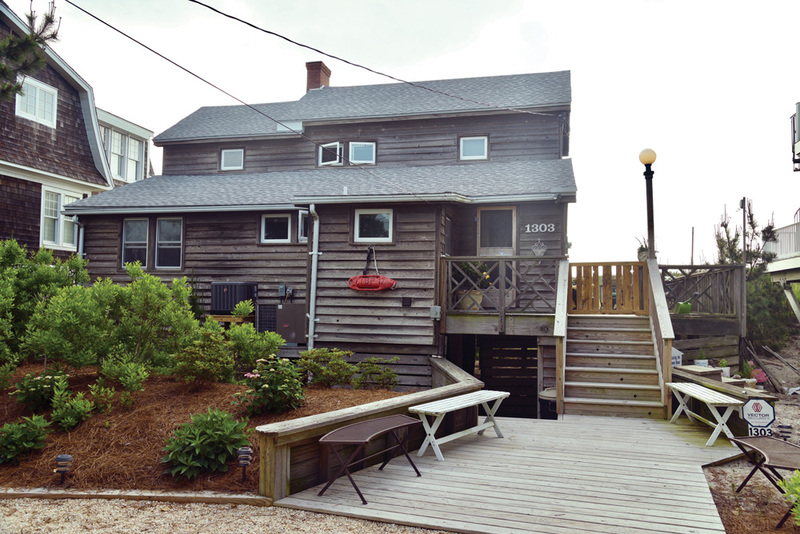 The four owners wanted no more of that, so they moved their cottages northward up the beach, to the location where the Rasmussen cottage still sits today. The Rasmussen cottage is the only one of the four cottages that endures. It has weathered many storms, including the 1962 storm, in which the entire cottage was held up by its chimney as the ocean flowed under it. The cottage remains in the family, owned by granddaughter Anne Hodges today. A limited number of tickets are available for the Historic Coastal Towns Cottage & Lighthouse Tour, and they must be purchased in advance at Sea Shell City in Fenwick, at Ellen Rice Gallery in Ocean View, at Made By Hand in South Bethany or on line at www.thequietresorts.com. Tickets cost $25, and proceeds support the creation of a new Coastal Towns Museum at 40 West Avenue in Ocean View. While Fenwick Island homes are featured this year, historic cottages in South Bethany will be featured in 2019, again to support the developing Coastal Towns Museum.